Lee Hancock knew his job wasn't to make headlines, according to Baseball Prospectus. His job was to come in and get hitters out. If he just did that, nobody would know he was even there. "We're like offensive linemen," Hancock told Baseball Prospectus in 2011. "When we do our job, nobody notices. When we don't, we're not anonymous anymore." Hancock served as a reliever for the Pirates over two seasons, 1995 and 1996. His big league career amounted to 24 appearances, 32.1 innings, giving up 16 earned runs. Hancock's career began in 1988, taken by the Mariners in the fourth round of the draft out of Cal Poly San Luis Obispo. With the Mariners, Hancock started at short-season Bellingham. He went 6-5 in 16 starts. In 1989, he moved to single-A San Bernardino and he started 1990 at AA Williamsport. By mid-May 1990, he was in the Pirates system, traded for Scott Medvin. Pirates director of minor league operations Chuck LaMar told The Pittsburgh Press that they wanted Hancock because he'd had success previously. "With his size we feel his velocity might get better," LaMar told The Press. "He's learning to throw his breaking pitch for strikes and he throws the ball in and out." Hancock played the rest of that year at AA Harrisburg, getting into one game at AAA Buffalo. He played 1991 at AA Carolina, 1992 between Carolina and Buffalo. He played 1994 and 1995 at AAA, his 1995 season at Calgary. 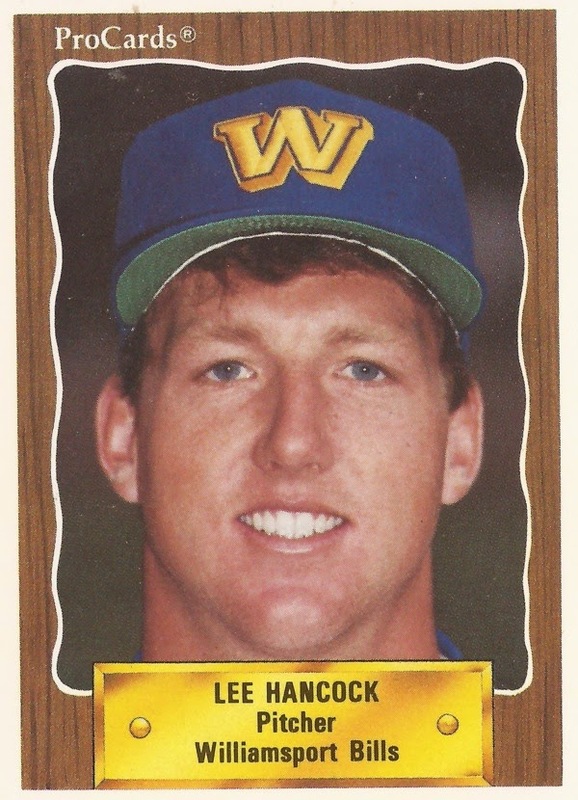 It was in September 1995 that Hancok made the majors. He got into 11 games through the end of that season, turning in a 1.93 ERA. He returned to the Pirates in 1996, getting into 13 games. In 18.1 innings, he gave up 13 earned runs. His major league career was over by May 13. By July he was in the Giants system, signing there after the Pirates gave him his release. He played that year and the next in the minors, ending his professional career.